We always thought smartphones would be kind of like the Tricorders from Star Trek, used to measure everything around us. So far, they’ve been more useful for playing Bejeweled and showing off pictures of cute cats. Now, finally, an accessory for your smartphone (or tablet) will bring you one step closer to living out your nerdy Star Trek fantasies. 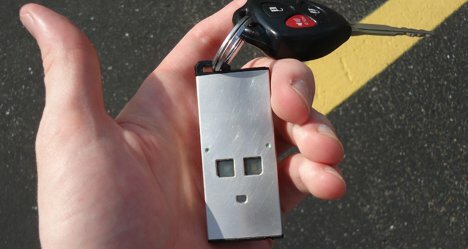 The Sensordrone is a very small device that manages to cram 12 different sensors into a keychain-sized case. The sensors measure everything from temperature to blood alcohol content to hyper-local weather conditions. You can use the Sensordrone to find studs in your walls, figure out whether the humidity in your fridge is at the right level, or measure gas leaks – both human and artificial. 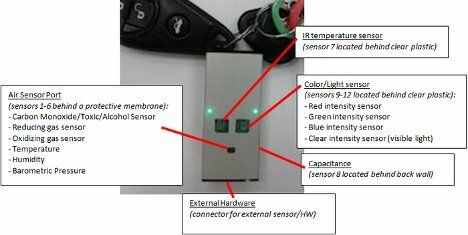 Data from the sensors is sent to your smartphone via Bluetooth. You can choose whether the data is sent constantly or on-demand. There are already tons of sensor-enabled apps, and there is no telling how many more will be dreamed up in the future. Sensordrone’s inventors invite developers to create new apps and offer a supportive open-source environment. 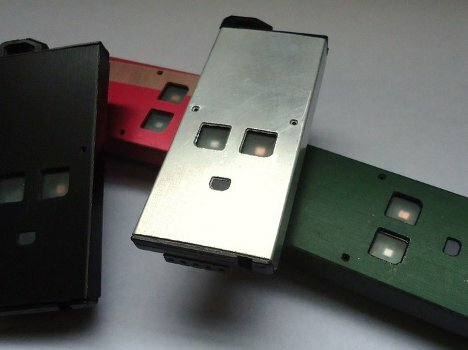 The team behind Sensordrone turned to Kickstarter to raise an initial $25,000. At the time of writing, they had already raised nearly three times that amount. Sooner or later, the Sensordrone is coming to make it easy for all of us to measure and make sense of our world. See more in Phones & Mobile or under Gadgets. June, 2012.